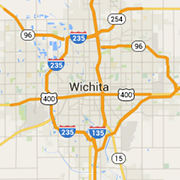 Why is Wichita called "Doo-Dah"? Home > Blog > Local > Why is Wichita called "Doo-Dah"? Wichita is affectionately referred to as “Doo-Dah”, though the origins of this nickname are pretty unclear. Younger Wichitans suspect the name began with older generations, while some members of older generations have attributed the use of the name primarily to younger Wichitans. Some suggest that the name “Doo-Dah” was given to Wichita in the 1950s as a way to counter the hype that surrounded the city as a result of it’s other nickname, the “Air Capital of the World”. According to an article in the Topeka Capital Journal, a California historian traced the name back to a group of local college students in the 1920s. It’s this attitude that Patrick and Timirie Shibley hoped to reflect when they opened up the Doo-Dah Diner in 2012. The Shibleys aren’t the only ones to bring this name back, however. Two years after the restaurant opened, the theme of Wichita’s Riverfest was “Hoopla in Doo-Dah”. Featuring a brightly colored and heavily patterned leaping harlequin celebrating amid confetti and fireworks with the Wichita skyline in the background, the theme and artwork for 2014’s Festival perfectly captured the whimsical atmosphere of Wichita. The theme and artwork were designed by Wichita-based artist, Scott Dawson, who submitted the piece into an annual competition held by Wichita Festivals. The following year, a Wichita-based coloring and Wichita scavenger hunt book called Doodah Doodles was released by Sarah R. Olmstead. Olmstead, a Kansas native and a Wichita resident, was in Portland, Oregon when she caught onto the adult coloring book trend. After a cross-country drive and visits to 10 national parks, Olmstead realized that her book had to be about Wichita. She added that this was when the name Doodah Doodles popped into her mind. The unique Doodah Doodles book features coloring pages of Wichita, fun facts about our city and a unique scavenger hunt element that encourages readers to get out and experience Wichita. “I moved to Wichita in 2000 and remember hearing a lot of nicknames for Wichita, Doodah was among them,” Olmstead said. Learn more about Doodah Doodles. We mentioned that Wichita is the Air Capital of the World, right? Okay, good. This nickname, which began in the 1940s, plays a part in another current nickname of Wichita's. ICT, Wichita's airport code, has also gained popularity as a nickname over the past few years. A fitting choice since the aircraft industry is such a big deal here. You may recognize "ICT" from Riverfest's 2016 theme, "Party in ICT"; from 360Wichita.com's ICT Believer campaign; from the local roller derby team The ICT Roller Girls and more. With as much love as this nickname has received, it's plain to see that it's a lot more than just the code on your plane ticket. As Wichita pride continues to burst through the roof, locals continue to highlight and embrace the traits that make our city so unique.